This is the latest insanity from the Swedish artist Janne Karlsson. 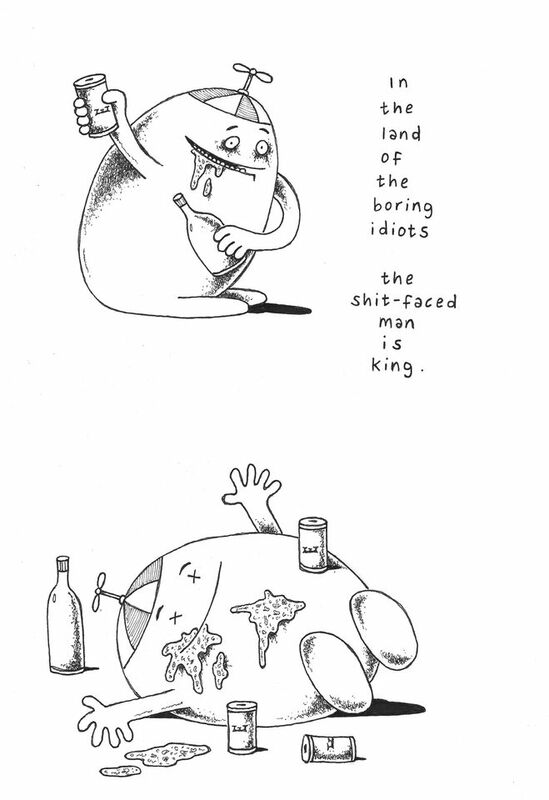 The book contains 41 of his minimalistic sketches and most are centred on the theme of drinking alcohol and getting totally wasted. 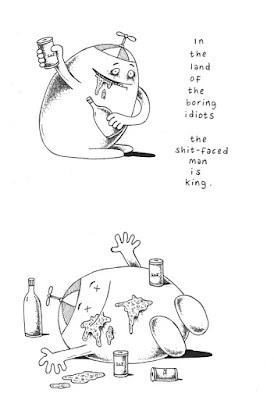 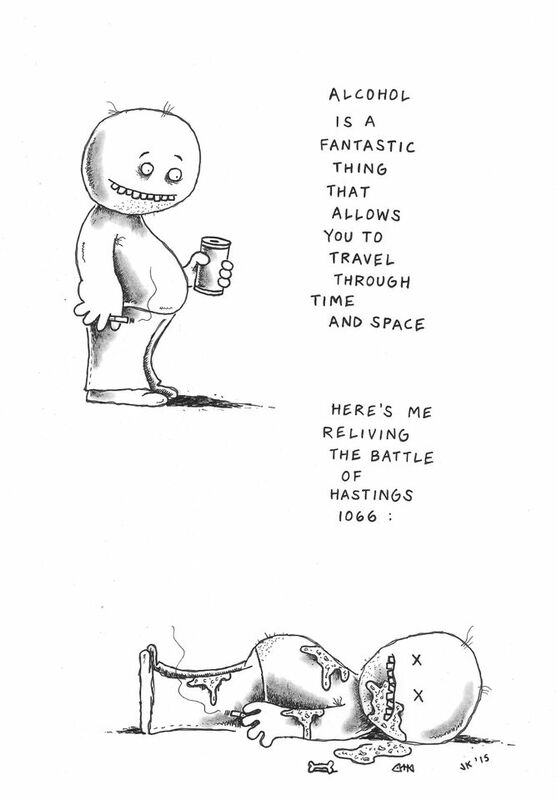 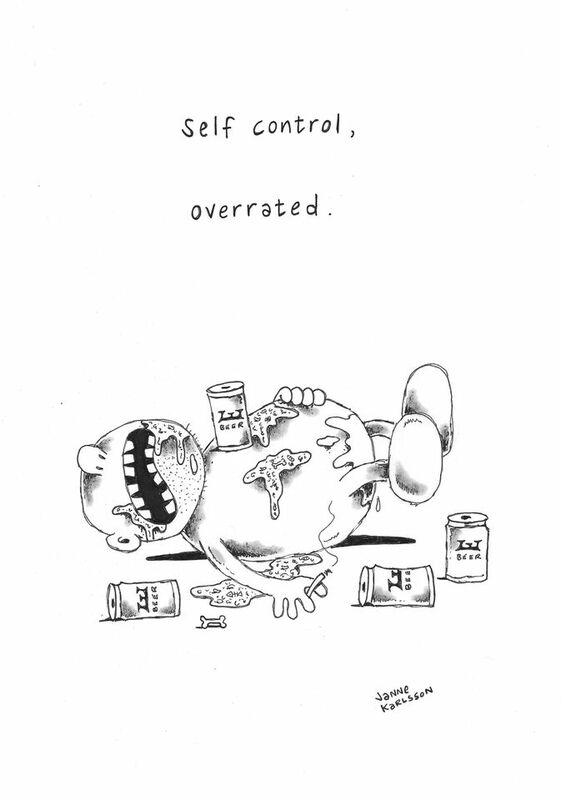 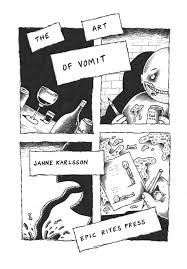 Karlsson’s humour is outrageously cheeky and mired in numerous images of his characters wallowing in their own vomit. 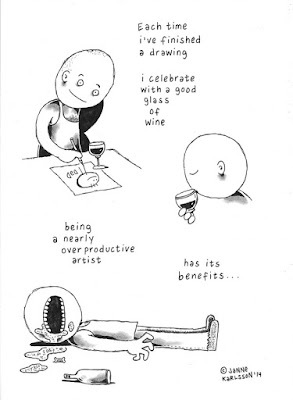 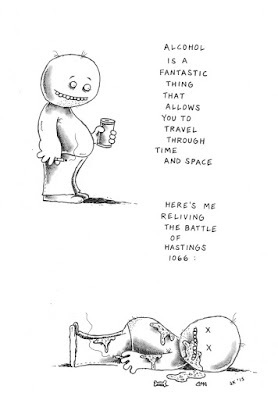 Karlsson also gently mocks his own drinking and appears to feature in many of his sketches as an artist who drinks to gain inspiration through oblivion. He humorously writes a series of letters to Jagermeister liqueur producers asking for a discount, a sponsorship deal and for a complimentary bottle for the mild nausea he experienced after consuming their product.